A central issue in cognitive neuroscience of aging research is pinpointing precise neural mechanisms that determine cognitive outcome in late adulthood as well as identifying early markers of less successful cognitive aging. One promising biomarker is beta amyloid (Aβ) deposition. Several new radiotracers have been developed that bind to fibrillar Aβ providing sensitive estimates of amyloid deposition in various brain regions. 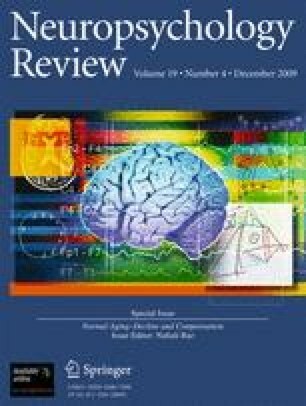 Aβ imaging has been primarily used to study patients with Alzheimer’s Disease (AD) and individuals with Mild Cognitive Impairment (MCI); however, there is now building data on Aβ deposition in healthy controls that suggest at least 20% and perhaps as much as a third of healthy older adults show significant deposition. Considerable evidence suggests amyloid deposition precedes declines in cognition and may be the initiator in a cascade of events that indirectly leads to age-related cognitive decline. We review studies of Aβ deposition imaging in AD, MCI, and normal adults, its cognitive consequences, and the role of genetic risk and cognitive reserve. Preparation of this paper was supported by National Institutes of Health grant AG-006265-23 to Denise Park. Braskie, M.N., Klunder, A.D., Hayashi, K.M., Protas, H., Kepe, V., Miller, K. J., et al. (2008). Plaque and tangle imaging and cognition in normal aging and Alzheimer’s disease. Neurobiology of Aging. doi: 10.1016/j.neurobiolaging.2008.09.012.